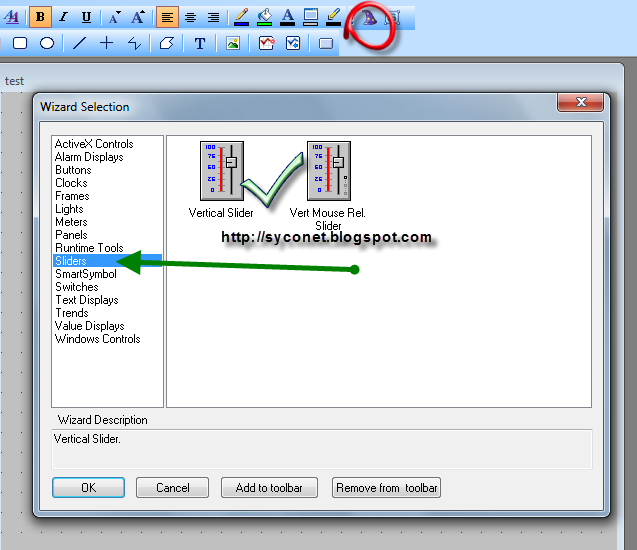 In our earlier tutorial we tell you about some basic property of Intouch scada like we give tutorial on Orientation Property, Percentage Fill Property, Direction etc. 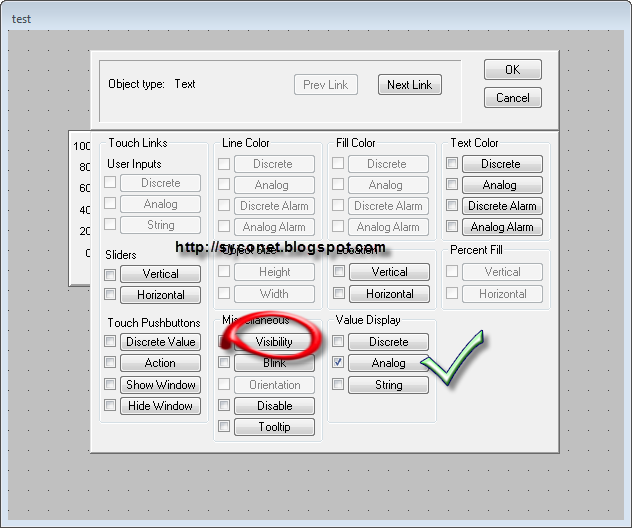 Today we will tell you about using Visibility property in Wonderware Intouch which is a very important property. 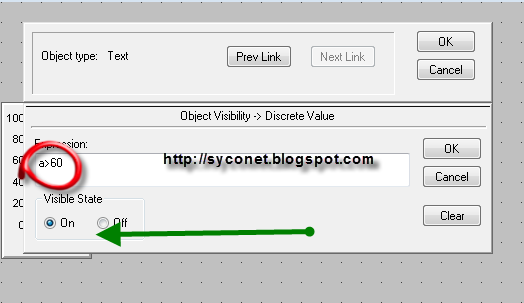 The visibility property is used to hide or show any object, text, value in Intouch whenever required. For Example you want to show a banner for a particular range of tag, or may be you want to show some value for any tag value. Subscribe to Automation-Talk by Email. To Explain Visibility property we will take a short example and will teach you how to apply that property according to yourself. Here we will take a simple example of a Slider and when slider value will exceed a particular value say it as 60 then we will display a Text and Slider Value. 1. Take a Slider from Wizard. And define a tag for it for 0 to 100 value. 2.Now take # to display a Slider value and a Text box to display a banner. 3.First apply display property on # and then Visibility property as shown in below image. 4.After applying property your Wonderware screen will look like some what as below screen. 5.Now as you have applied the property you can run the application by clicking on Runtime. 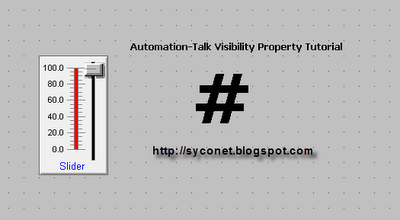 On running the application you will see that when slider value becomes greater than 60 then a text message appear saying "Automation-Talk Visibility Property Tutorial" and also a display showing slider value is displayed. You can see this in above video that when slider value is less than 60 the text and value are disappeared or hidden. Subscribe to Automation-Talk by Email.